Agile Project Management, which is sometimes referred to as APM is designed to be an iterative approach to developing, designing, planning and managing projects for improved quality as well as efficiency. Agile projects, whether they are in software development or other industries are typically completed in small sections. This allows project managers and team members to gain quick Insights which can then be applied to the next step of the project, or to make corrections in an existing step. At the core of the Agile philosophy is the emphasis on the ability to create and respond to change. There is a great deal of respect given to adaptiveness and response to change to always refine the process. The software industry before 2001 was a somewhat frustrating time for software developers and project managers. The industry, like many others, used practices that were tied more to large-scale projects. This often made it hard to make important adjustments or wholesale corrections while a project was in active development. This was also shortly after the struggles associated with preparing software and especially financial software for the changes brought on by the year 2000. Systems of that era were rigid and not very adaptable. It often meant that it was easier to recreate a system or pieces of software, rather than correct it. The lessons learned by developers the world over served as a clear sign that management and development systems needed to be changed. People throughout IT, software development, and other segments of the tech sector started working on new ideas, based on the experience of the challenges they had just faced. One of the more promising forerunners of Agile was something called RAD or Rapid Application Design. RAD used a core philosophy that primarily focused on software development. It had been quite popular in the mid-1980s and 1990s. The undercurrent intention of RAD was based on the belief that the design for any project didn’t have to be complete before work could commence. It was based on the intuitive understanding that the software project would evolve as the process of developing continued. In order to do this, they also needed to revolutionize how individuals and teams communicated as well as how they worked together. 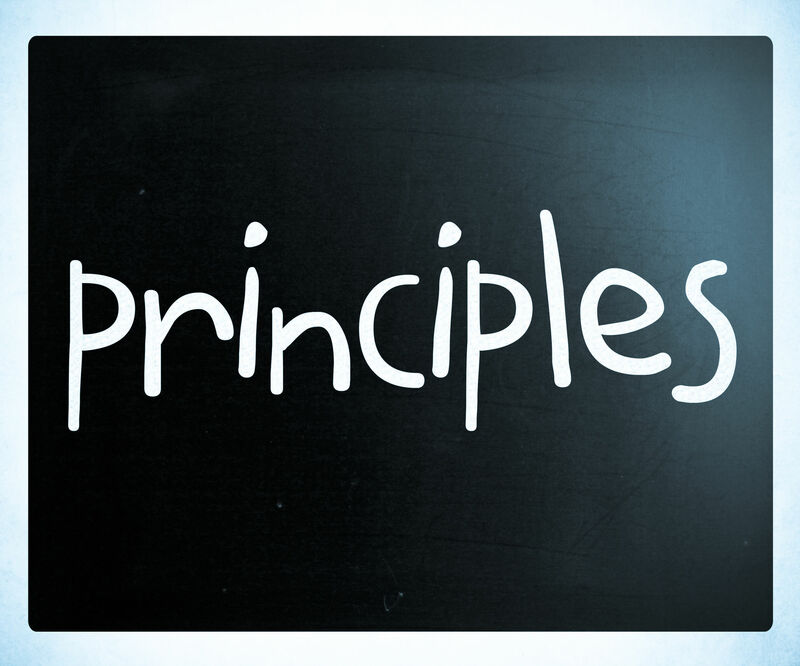 What Are The Key Principles Behind Agile In Software Development? After Agile evolved out of RAD, it’s natural emphasis on adaptability also meant that different organizations could present their own custom take on how to best implement it for their own purposes. 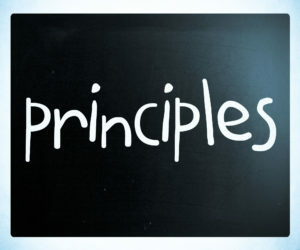 In the realm of software development, many organizations recognized twelve key principles that help guide the process. It’s worth noting that these philosophical notions can be applied to other industries that might have very little to do with software development. The highest priority is to satisfy users/customer through continuous delivery of valuable software or other related products. Change is a natural part of the process and it must be embraced as well as welcomed to make the most of competitive advantage. The ability to deliver working software on a frequent basis, with preference given to shorter timescales and deadlines. Developers and non-developers need to communicate clearly and work together daily throughout every stage of a project. Projects need to be developed around motivated individuals who are supported by the environment they need to perform the highest level of work. Implement methods designed for maximum efficiency and effectiveness of clear communication. This includes conveying information from one team to the next, which may require face-to-face conversation. Understand that function software or a functioning product is the primary measure of progress. Sponsors, developers, and the end user should be able to maintain a constant and sustainable pace. High attention to detail must be given to all technical issues at all phases of the project. Simplicity, which is defined as the art of maximizing the amount of work that needs to be completed, is an essential part of the process. The most effective architectures, requirements, and designs will emerge from teams that are adept at self-organization. A team needs to reflect and contemplate the ways they might be more effective at regular intervals. These insights can then be used to implement improvements. It didn’t take long for Agile’s principles and methods to bear fruit in software development, which inevitably leads to it gaining traction in other industries. This takes the form of what’s called an Enterprise Project. This is a project that affects operations across an entire organization or enterprise. One example would be to think of a company’s finance system. It goes beyond just the accounting department and its staff. A finance system using Agile practices can affect how purchasing is done, how clients are tracked, determining marketing goals as well as implanting them and the costs of how products are delivered to the user. It might also be integrated with inventory and other cost factors like storage. One of the most important characteristics associated with an enterprise project is that it also needs to include some level of culture change. The project itself isn’t just about updating or reorganizing the processes or systems in place. It also needs to have a profound, and sustainable impact on the behavior of every individual involved. How Has Agile Been Received In Non-IT Industries? Across the United States and in other areas around the globe, organizations have embraced the benefits of Agile practices in a wide range of non-IT project management projects. There can be some challenges at the time, especially when it comes to instituting change with individuals and teams who have long-established habits. Fortunately, this isn’t the sort of thing that you have to go it alone. There are many Agile and Lean proponents who offer Agile coaching and implementation services. They can answer your questions, help you understand the process, and even work with your teams to help each individual “Buy-In” to adopt Agile practices.